RAGED Residents represent over 500 dwellings around the area of the Gaelic Athletic Association Sports Ground London SE9 2EY. We oppose Greenwich planning Application 14/3551/F for 136 residential units up to 3 storey in height with associated access and parking. This is being forced through by a Developer despite it being a "Departure from the Royal Greenwich Local Plan". We are given just 21 days to respond. RAGED need you to sign this Petition by latest 27th January 2015 as the Planning Process will not accept input after that date. We the undersigned and Local Residents, wish to register our objections to the Planning Application 14/3551/F, for erection of 136 residential units on The Gaelic Athletic Association Sports Ground, Avery Hill Road, Eltham, London. SE9 2EY. This Land is Designated as Community Open Space and used as Private Sports Ground. We wish to have this land used by recent applicants who wish to restore it and have it remain as Sports Grounds and Recreation Facilities to enhance the health and environmental quality for Local People and all of London. Thank you for helping to save this unique Local Sports Ground. We the undersigned and Local Residents, wish to register our objections to the Planning Application 14/1926, for erection of residential units on The Gaelic Athletic Association Sports Ground, Avery Hill Road, Eltham, SE9. This Land is Designated as Community Open Space and used as Private Sports Ground. 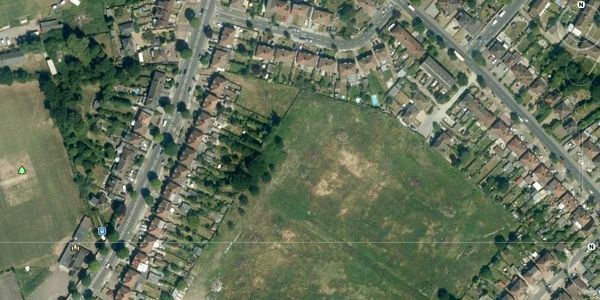 We wish to have this land used by recent applicants who wish to restore it and remain as Sports Grounds and Recreation Facilities to enhance the health and environmental quality for Local People and all of London. Greenwich Council have changed the response deadline to 28th January 2015. Please get everyone you know to support us and sign this Petition now. WE NEED ACTION NOW - Planning Application 14/3551/F ! Deadline 27th January 2015, so we only have 15 days. Please sign this Petition by 27th January. WE NEED ACTION NOW ! We have received Formal written notification of the Greenwich planning Application 14/3551/F - Gaelic Athletic Sports Ground SE9 2EY. To build 136 dwellings and put parking. Response closing date 27th January 2015, so we only have 16 days left to act. We have just completed 32 hours of physical petition signing, over 1 week. We were outside the Developer's Exhibition of their plans in a cold wet and windy November. We signed up nearly 90% Exhibition visitors. They majored on prettying up another Sports Ground, locked away nearby. The physical petition will be going into Greenwich Council. We look forward to more signatories online.